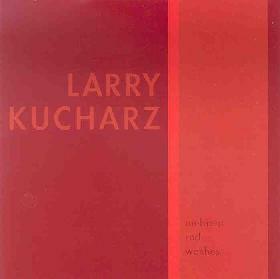 Larry Kucharz - "Ambient Red Washes"
Larry Kucharz is a prolific electronic music guy: he’s already released 15 cd’s on his own International Audiochrome label. He describes himself as a classical minimalist composer (read SERIOUS musician). Larry has been playing music since he was a small child, and has been seriously studying music at the college level and above for years. He’s very serious about music. Ambient Red Washes accurately describes the music. I don’t know if I can see how they would all be a description of red, but then I’m not a classical minimalist composer. The tracks are all nice and long and run in the 4-9 minute range with one topping out at 12 min. They are truly beautiful washes of synthesized sounds (mostly buzzy). A nice slow build-up, gradually expanding, and then fading out. It’s very well done, lot’s of subtleties, great chord structure, and quite interesting. Some people might call this ambient. I would call it Classical Minimalism (but then I read the webpage). My cynicism about “serious composers” aside, Ambient Red Washes is a nice listen. It can be ambient and space-filling, but if you actually listen to it, it also has some nice depth. For more information you can visit the Larry Kucharz web site at: http://hometown.aol.com/audiochrom/myhomepage/business.html. Contact via snail mail c/o International Audiochrome; PO Box 1068; Rye, NY 10580.